We know that older people are more likely than other groups of people to become lonely and isolated from their family, friends and their local community, especially when they can no longer drive, when they are not able to walk very far, or when a close relative or friend dies. We also know that more and more older people are living on their own. According to Age UK, there are over 2 million people in England over the age of 75 who are living alone so by running our OPAL clubs we are doing something practical to help older people overcome their loneliness and thereby enjoy a better quality of life, both mentally and physically. At our OPAL Clubs, older people who cannot get out and about without the support of others meet up for the main part of a day each week to enjoy the companionship of others, a freshly cooked mid-day meal as well as a range of activities, plus of course lots of fun and laughter. Transport is provided if required to enable people to get to the club, and this and the cost of the meal is covered by the weekly fee of £12. Each club meeting is run by a team of 3 or 4 volunteers, working on a rota basis from a larger group of club volunteers, supported and guided by one of our Organisers. 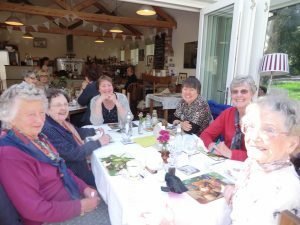 The club volunteers are all local people who enjoy being with other people and want to make a significant difference to the lives of older people living in their community. Each Club meets at a local venue (e.g. a church hall) – generally from 10:00 am to 3:00 pm. 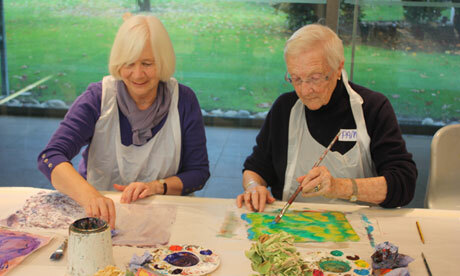 Membership of each OPAL Club is open to older people living within the host village and its surrounding rural area. Before each person joins a club they are visited at home by one of our Organisers. Members come to hear about and join our clubs mainly through personal contacts and word of mouth, as well as through organisations such as local churches and health professionals, Age UK Cheshire, and Cheshire West and Chester Adult Services. 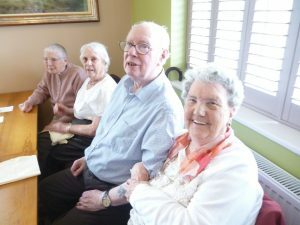 Social activities are provided at the OPAL Clubs which are stimulating and entertaining, and members are encouraged to stay physically and mentally active. The activities are arranged where possible to suit the members’ interests and hobbies. Examples are card and board games, puzzles, quizzes and craft work, gentle exercise routines, music and singing. Members also enjoy spending time just talking to each other and sharing experiences and memories. From time to time, outings are arranged, for example to garden centres, country pubs, and canal boat trips. Please note that we do not provide personal care, as our staff and volunteers are not trained or qualified to carry out care or treatments.